Colin Green Photography: Copley Bridge, Toll Booth, and it's Replacement The Wilson Bridge. Copley Bridge, Toll Booth, and it's Replacement The Wilson Bridge. Copley River Bridge is a former toll crossing connecting Copley and Greetland across the River Calder. 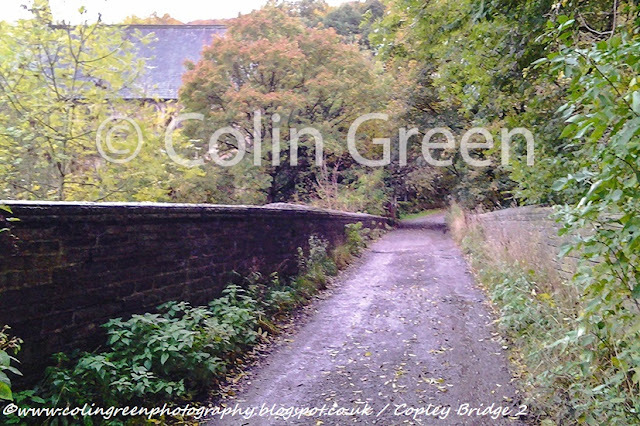 The original Bridge was built by Richard Kennet-Dawson in 1831 who was the last Lord of the Manor of Copley. 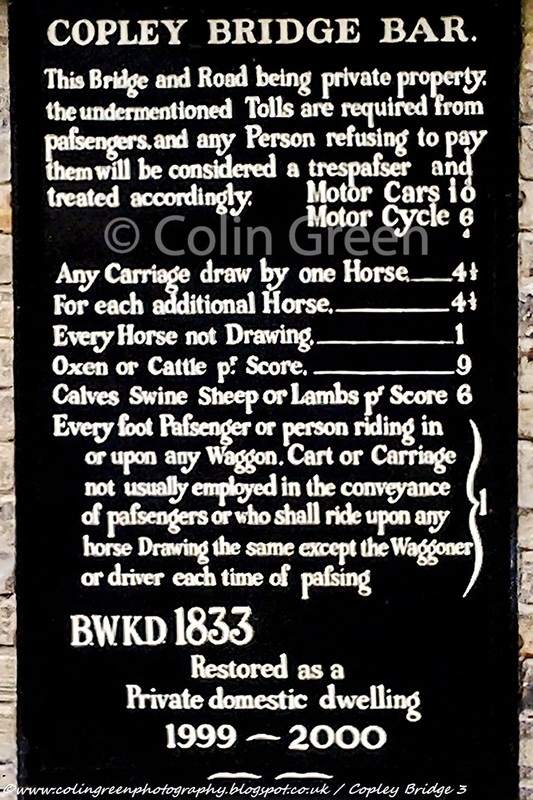 The bridge carried North Dean Road across the River and a toll was charged until 1856 when the bridge became free to cross. 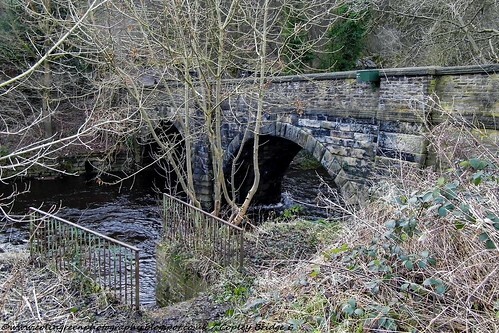 The bridge stood for 184 years until the flooding that devastated the Calder Valley on Boxing Day 2015 destroyed the bridge. The 2 arch bridge had partially collapsed and remained like that until February 2017 when it was demolished in it's entirety to allow it's replacement The Wilson Bridge to be built. The Bridge pictured in February 2014. 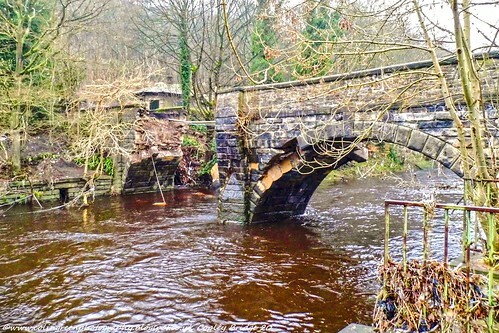 The Bridge pictured on New Years Day 2016, 6 days after the Calder Valley floods had damaged it beyond repair. In February 2017 the remains of the bridge were cleared and work started on the replacement crossing. The Wilson Bridge was completed and opened in October 2017 and named by local school children after Mr Graham Wilson who had lived in the former toll house to the south of the bridge for many years. Sadly Mr Wilson had passed earlier in 2017 before the bridge re-opened. His family were invited to be amongst the first people to cross the bridge when it was opened by the Mayor of Calderdale Coun Ferman Ali on October 12th 2017. 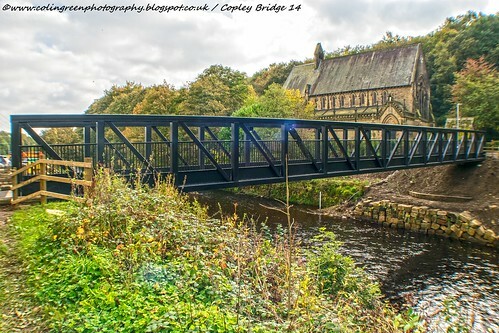 The newly opened Wilson Bridge and St Stephens Church, Copley pictured on October 15th 2017. On the south side of the River the former Toll House still stands which is now a private residence. 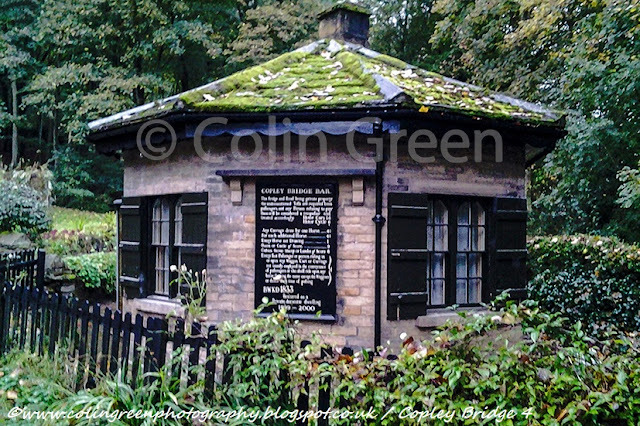 The house stands opposite the lychgate entrance to St Stephens Church and the bottom of North Dean Road and I imagine is a wonderfully place to live in the peaceful surrounds of North Dean Woods all around and the River Calder flowing past to the north of the house. The former toll house pictured in October 2017. There are a total of 29 pictures taken of the original bridge, the toll house and the new Wilson Bridge at Various dates over the last few years taken with either a Samsung Galaxy Tablet, a Polaroid iS2132 Bridge Camera, or my Nikon d3300 SLR Camera. They have been split into 2 albums, the first of which contains 8 pictures available to buy as a download or just simply view full size on Clickasnap. Click here to view the Album of 8 pictures featured on Clickasnap. The album sadly cannot be embedded here so the pictures can only be seen on Clickasnap. They are an exclusive set which will open in another window. They can be purchased as a download, but by simply taking just 10 seconds to view any picture on Clickasnap you help support the photographer as they receive a small contributors fee from them. So please take a moment to view the pictures. The individual links can be found at the bottom of the page.View my picture of "The Former Toll House, Copley"
The following 4 pictures were the first I took in and around the bridge. They were taken using a Samsung Galaxy Tablet on October 27th 2013. 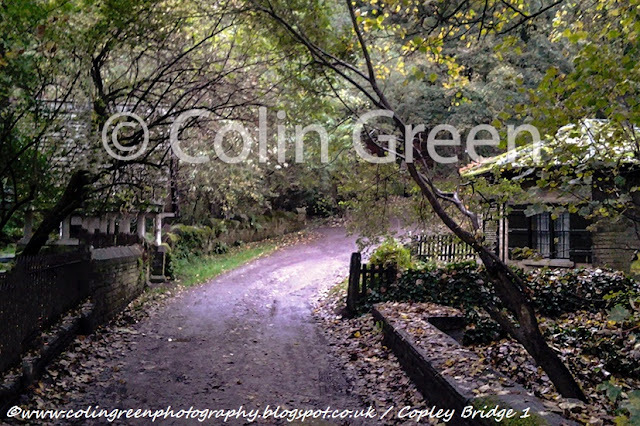 They can also be viewed on Flickr without watermarks. Taken from atop the former bridge with the former toll house to the right and the lychgate to the left forming the entrance to St Stephens Church, Copley. Looking across the former bridge, St Stephens Church roof can be seen to the left and the woodland is North Dean Woods. The woods stretch from here to Norland, Greetland and West Vale. The following links will take you to each of the 8 pictures available to view on Clickasnap. Please take a moment to view them. Each link opens in another window. View my picture "The Former Toll House, Copley"
View on Clickasnap "Across Wilson Bridge"
View my picture "St Stephens and Wilson Bridge" on Clickasnap. View "Aftermath of a Flood" on Clickasnap.